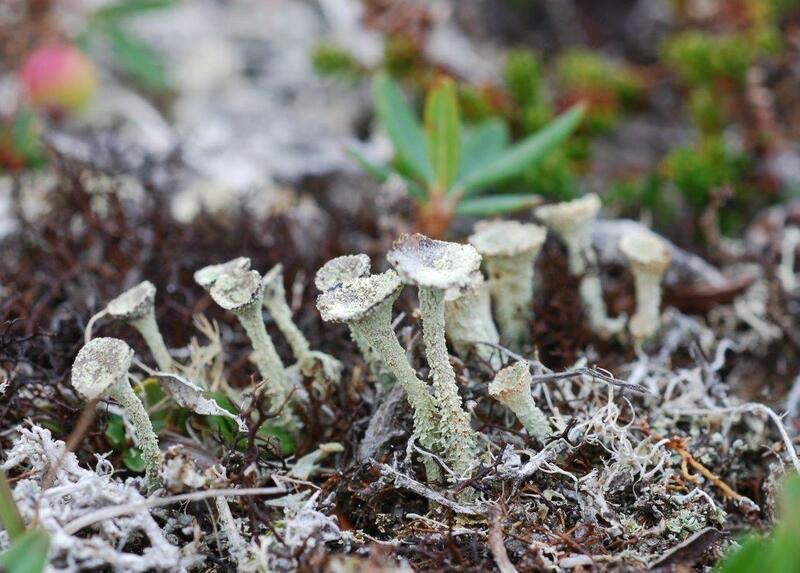 Cladonia metacorallifera. A fourth member of the aggregate which is also constant in shape, and confirmed by the presence of downward pointing, scale like granules towards the base of the podetia. The podetia towards the base are also frequently blackened. Worldwide it is an arctic species. In Britain it is scattered and very rare in the northern half. I have seen it in western Greenland, and this photograph was also taken during the BLS visit to Newfoundland near Cape Race.